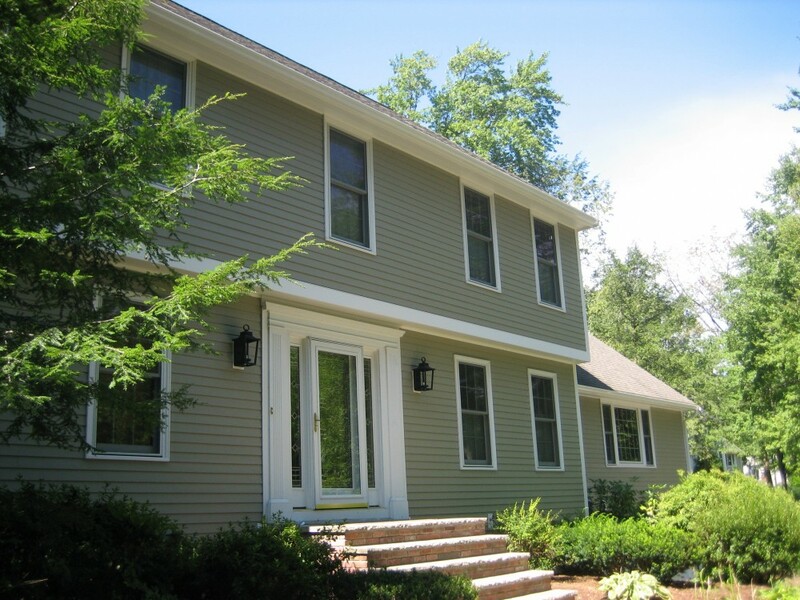 The homeowners in Andover, MA originally had Masonite siding installed on their home. However Masonite/composite siding does not withstand the climate of the Northeast. You can see around the house where water destroyed the siding especially along the roof line and along the watertable. Homescapes of New England, LLC installed new HardiePlank lap siding in Monterey Taupe with Arctic White Hardiesoffits. We also included new seamless aluminum gutters and Atlantic Premium Shutters which add a finishing touch to this beautiful home. Creating a home that will last for many years to come without needing additional exterior maintenance.